ASUU Strike Update: Ambrose Alli University, AAU Ekpoma Pulls Out from ASUU Announces First [1st] Semester Resumption Date and Continuation of Academic Activities for 2018/2019 Academic Session. 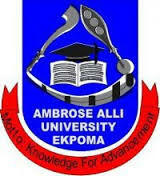 This is to inform all students of the Ambrose Alli University (AAU), Ekpoma both fresh and returning students that the resumption date and continuation of first semester academic activities for the 2018/2019 academic session has been announced. That students should come into their halls of residence on Sunday, 27th January, 2019. That Registration for courses, clearance of Fresh students, payment of school fees, etc should commence immediately. Heads of Department are required to closely monitor compliance with the above directives. Above is for the information of the University community and the general public. SEE ALSO: AAU Ekpoma Academic Calendar Schedule 2018/2019 [Adjusted].